I mean, don't get me wrong, we all need to eat. But… did you know that you do NOT have to pay full-price for fresh, quality, healthy, and even organic groceries? Let me show you how easy it is! We've all heard of Extreme Couponing. Where you see happy people walk into a grocery store and 45 seconds of TV magic later, come out with $800 of groceries for $0.14. It might look fine and well, but they don't paint a clear picture of the investment couponing requires. I have done lots of research on couponing, including attending classes. Takes too much time. 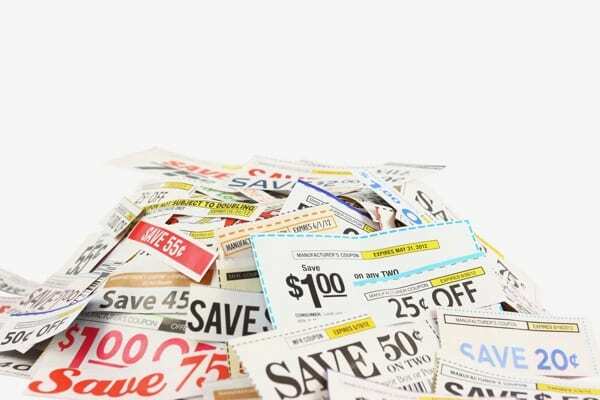 Not only the several hours it takes collecting and clipping the coupons and comparing them to current store deals, but it can double your time in the grocery store too. Limits what you're able to buy. Sure, I might be able to get 16 boxes of tampons for free this week…but what if I really need celery and italian seasoning? Coupons are typically for processed pantry foods. The most expensive items in your cart food-wise are typically meat, produce, and dairy. And coupons don't typically cover many, if any, of those. Now, let's be fair here, I know many people love couponing and consider it a hobby and well worth their time. In that case, I say go for it! But I will argue until the day I die that it's not the quickest, cheapest, nor healthiest way to shop for your family. 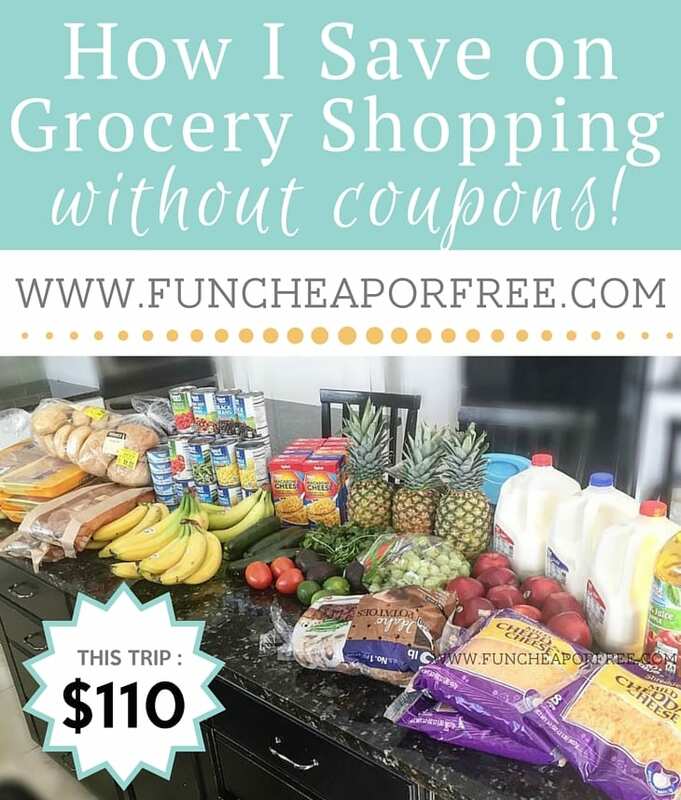 The truth is, you can pay half price for quality groceries without clipping a single coupon! And it's actually quite simple. 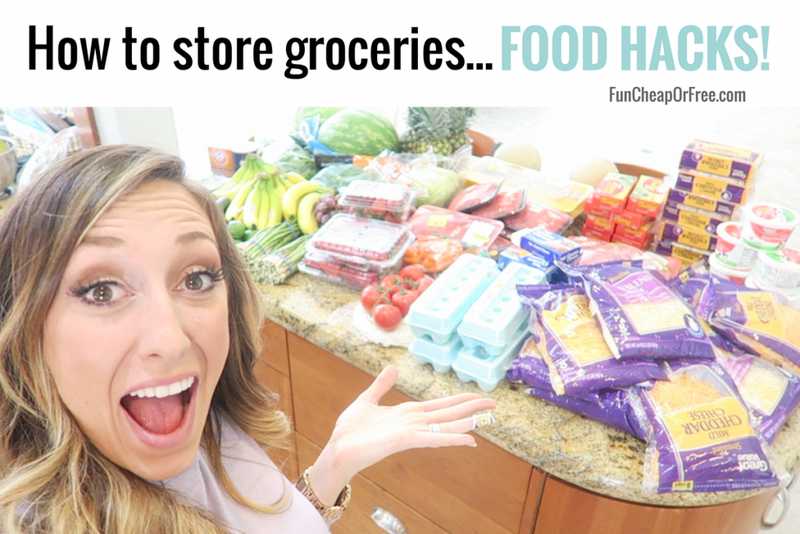 Best Grocery Shopping Tips Right Here! So you want to up your grocery shopping game? Good news! We've got all the tips you need to help you cut your grocery bill and still provide your family with healthy and delicious meals. How Much You Should Be Spending On Groceries. 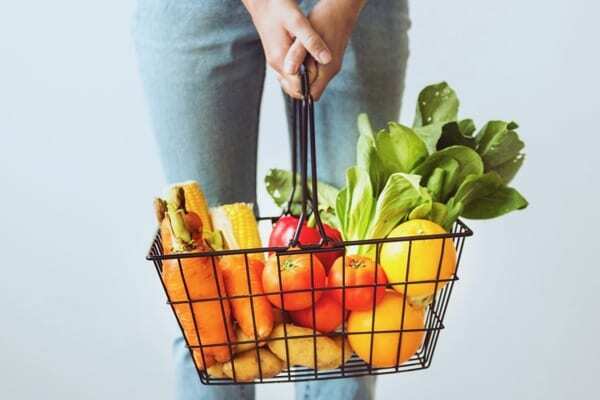 Let's be honest – the very first step you need to take, if you haven't already, is to figure out how much you should be spending on groceries per month. The quick and easy explanation is $100 per person, per month. This includes anything you can get at a typical grocery store – food and produce, on down to basic cleaning supplies, pharmacy goods, baby items, and even pet food. I bet you have a million questions, so see this post that will explain everything in detail. Next, you need a method to Track Your Grocery Budget. My simple no-fail trick? Track your budget weekly instead of monthly! For my family of 5, I get $500/month. Broken down that's $125/week on a 4-week month. See the video above for a detailed explanation on this. I believe in buying everything with an electronic card instead of cash, debit or credit is fine based on your level of self-control. Just don't use cash, because tracking cash is a nightmare. See more on why and how we use credit cards, and check out the video below. Only Go Shopping 1X per week. This is my #1 single most important trick on the whole planet of grocery-ness. If you follow no other rules, follow this one. Plan ahead, make it count, and then never step foot back in the store for 6 days or the wrath of Jordan will come through this computer screen and will spank you! Use Sunday to plan your meals for the week, planning your meals first around what you have in your fridge/pantry/freezer, and second what's on sale (more about this below), then choose a day to go shopping. If you run out of milk, send your spouse. If they will walk out with more than 1 gallon of milk only, borrow some from a neighbor. Keep powdered milk on-hand. Eat toast instead of cereal. But do NOT step foot back in that store! Why? Because that one gallon of milk will cost you $50 in things you suddenly “need to have”! Just trust me on this one. 6 days is not that long, you can do it! Make A List of Groceries You NEED. I recommend keeping a grocery list of things you need in your phone because we are never without our phones. I separate my list by the two stores I shop at (Walmart and Costco – more on Costco at the bottom) and the things I typically buy there. A basic rule of smart grocery shopping, never go to the store without a list!! Deals to Meals actually makes a weekly meal plan for you (main, sides AND dessert for 5 days of the week. Yeah, totally amazing) based on what's on sale! Making a meal plan BEFORE shopping is key, so you know what you need to pick up to complete any recipes and meals. Look At What Groceries Are On Sale. Check the junk mail ads. I used to do it and it takes a little time, but works fine. Take the ads for the stores you like to shop at, and focus on the front and back pages mostly. Check out the deals and prices and circle or take note of what the good deals are that week, and stock up on them. Use DealsToMeals. I HIGHLY recommend this method, vs looking at the ads. It's the coolest website that I discovered years ago. She takes the ads from the stores in your state (nation-wide and expanding daily), puts all the weekly deals in a spreadsheet, and flags the best deals for you! It's SO SIMPLE! That way you just scan the list, look at all the flagged deals, add what you need to your shopping list with one click, print it out, and go shopping (more on that in a sec)! If it's not flagged, ignore it and wait – there is no need to buy things full-price…no coupons needed! The site costs under $5/month, you'll make that back in cheese in your first 5 minutes in the store, I promise. Plan Meals Around Seasonal Fruits and Veggies. It's that easy! Every season has different fruits and veggies that are less expensive. Shop for and cook with that produce and you will save money. Now that you have your shopping budget, list, and meal plan – hit the store! If Groceries Are On Sale – Stock Up! As long as you can stay in your weekly budget, stock up on meats, veggies, etc. that is on sale to stock up for your future meals. I always like to have a few back-ups on hand! This might sound a little crazy, but stores are smart. They know that if they can get something in front of us, we're more likely to grab what is convenient so they put more expensive items at eye-level. Don't fall for that trick! Make sure to compare prices and get the best price and quality for your family! You know they charge an arm and a leg for produce that is already cut up and packaged so nice. It doesn't take too long to cut your own produce. Plus, fruits and veggies that are already cut will not last as long and are far more likely to go bad before you can use them up. Yes!!! Part of saving money on groceries is cooking your own meals and being super smart and strategic about it. Again, don't forget to use up what you have available in your fridge first! A HUGE tip for you is to store your food so that it won't go bad on you before you can use it. Storing your food right is such a smart and easy way to make sure your food lasts longer and you don't let anything go to waste. Here are a bunch of tips for storing food. 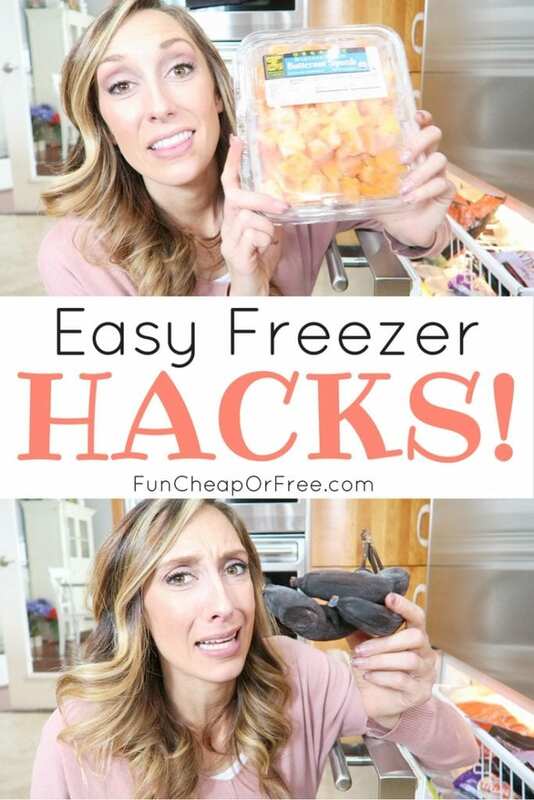 You can freeze all kinds of things so that they are still fresh and delicious once you're ready to eat them. Check out these tips for all the things you can freeze. Double Your Recipes and Freeze! If you are cooking… you might as well cook extra for another meal for a crazy night, or a night where you just don't feel like cooking. It will probably save your life… or at least your sanity, am I right? Use every drop of what you have and always make a meal plan based off of what you already have on hand. That tip right there is GOLD and is what drives my meal planning Every. Single. Time. Good luck with your future grocery shopping trips! Is Walmart price-matching ending?? The FULL SCOOP! Good luck, and enjoy the savings! **Note: I respect anyone who chooses to coupon! I think it's a great way to save money, and I understand that it's a hobby for some people, and I know plenty of people who really enjoy it. My method is built to support couponers, but also to create an option for those, like myself, who choose not to coupon.